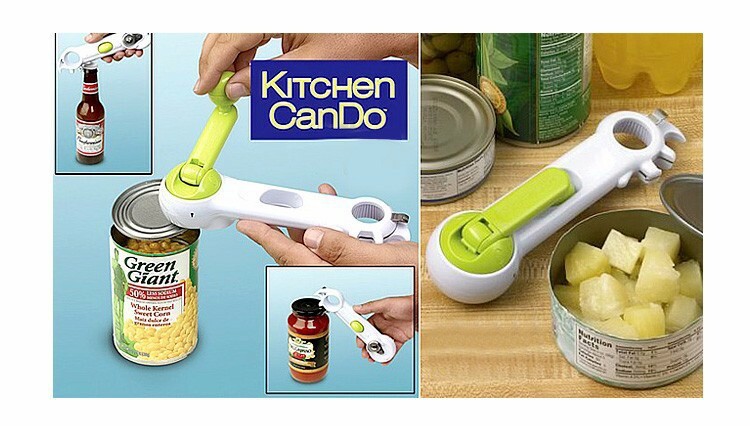 An amazing kitchen tool that precisely leaves no sharp edges behind. Its promising features can make your life more comfortable and relaxing. This 6 in 1 Opener is a very nice deal to take for it can do multiple things. 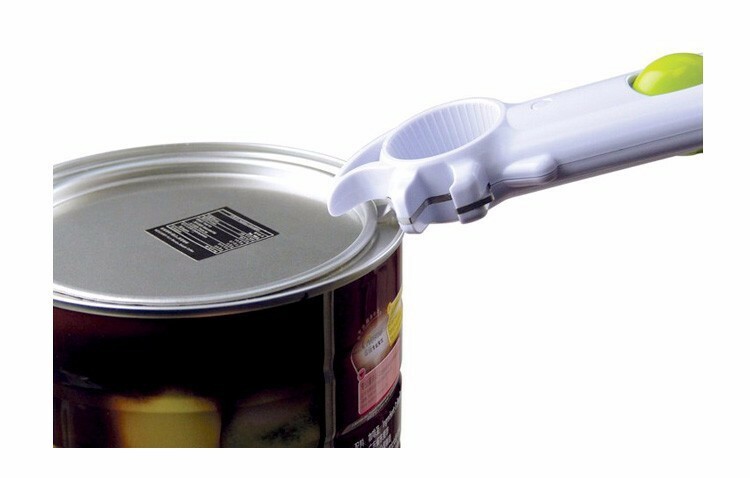 Its outstanding function can open cans, lifts tabs, separates tins, breaks jar seals, twists caps and opens bottles. A must have kitchen tool for every household today! Put your old openers to rest now and let the 6 in 1 Opener do what it made for! 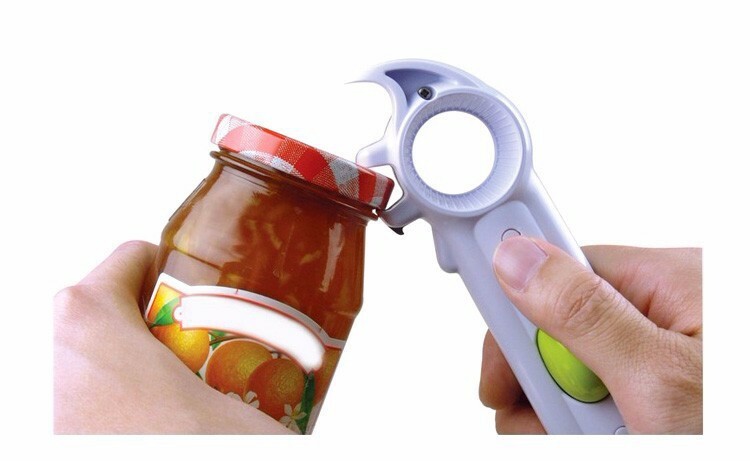 Open all sorts of bottles, jars, containers and even packets with the greatest of ease. 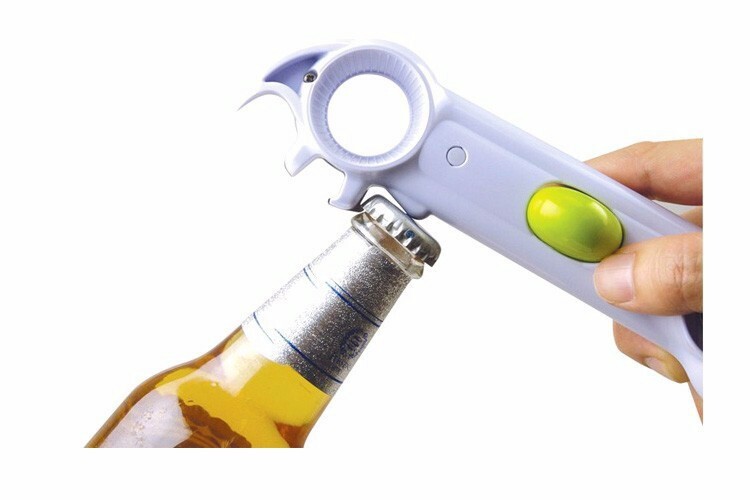 This 6-in-1 bottle opener is a fantastic gadget for any home and a must for anyone with limited dexterity. 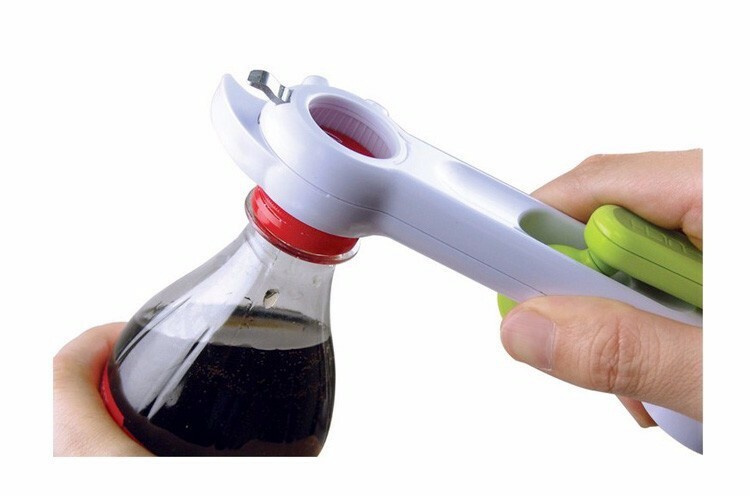 Comfortable to hold and easy to use, it makes light work of opening jars, twisting off drinks bottle lids, popping open bottle caps, peeling the paper seal on milk cartons, ketchup bottles etc., opening cans and even tearing open packets of crisps and other foods. Small and compact, it is also a must-have essential for any trip away. Cutting wheel never touches food. 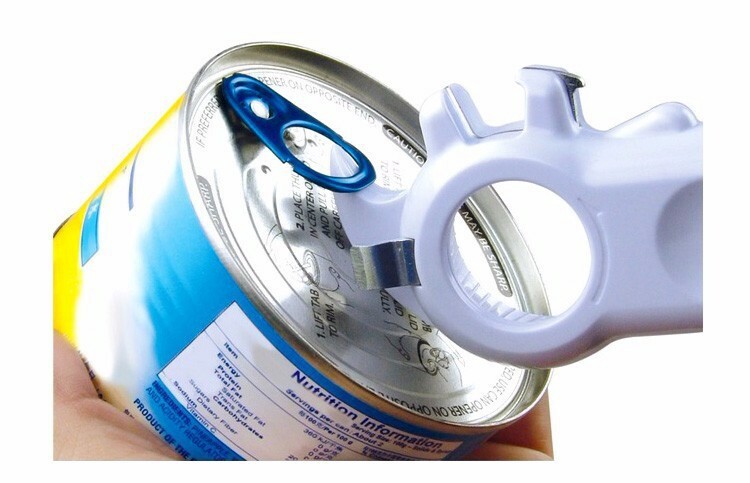 It can open big cans, rectangular cans, oval cans, beer bottle, milk powder can and so on. Easy to clean, only need to rinse it under running water.